Vegetables and fruits can fit into any budget! For $10 you can buy 18 portions of vegetables and fruits; 1 cup tomato, 3 cups of green beans, 3 cups of corn, 4 cups of peas, 1 cup of pears and 6 cups of peaches. That’s almost 4 days’ worth of veggies and fruits for one person! Buy fruits and veggies in all their forms – fresh, frozen and canned. Celebrate the season by purchasing fresh vegetables and fruits when they are in season. They are easy to get, have more flavor and are usually less expensive. Your local farmer’s market is a great source of seasonal produce and they usually start up by June. Buy frozen and canned year-round, it’s usually picked and packed at its’ peak when its chock full of nutrients. Look for canned or frozen veggies that have not been pre-sauced and say “no salt added”, “low sodium” or “reduced sodium” on the label. Look for fruits canned in juice or light syrup. Frozen and canned produce is one of the greatest kitchen hacks to save you time in the kitchen; it comes pre-cut and/or pre-cooked! But keep it simple with fresh produce, when you buy these pre-cut, pre-washed, ready to eat and processed foods are convenient, but cost more than when purchased in their basic forms. The trick to buying all the vegetables and fruits you need to keep your body strong is to make a list before you go to the grocery store. Check the local newspaper, online, and the store ads before you shop. You save money by buying only what you need and getting the best price, leaving more of your food budget for delicious wholesome produce loaded with antioxidants, vitamins, minerals and fiber. Want a side of physical activity with your vegetables and fruits, along with the satisfaction of an amazing accomplishment? Plant your own! Start a garden- in the yard or in a pot on the deck- for fresh, inexpensive, flavorful additions to meals. Herbs, cucumbers, peppers, or tomatoes are good options for beginners. Browse through a local library or online for more information on starting a new garden. Lastly, plan and cook smart. Prepare and freeze vegetables for soups, stews or other dishes in advance. Add leftover veggies to casseroles or blend them to make soup. Overripe fruit is great for smoothies or baking. There are plenty of ways to make use of all of your veggies and fruits, for more ideas visit www.myplate.org. For more recipes, tips and more also visit www.eatsmartnewyork.org. Is it Worthy to Put your Hands into the Fire for Someone? José Emilio owner of X-Ruebenxz company, enjoyed great success among the people who knew him for all the money he possessed. He managed the family’s little wealth that he inherited from his father years ago, since his mother had in one two-three spend maybe about two-thirds of that great fortune in bad business. He usually drove an old pickup truck to go to work, and on weekends, he took another vehicle. While all this passed, far was he imagining, so many eyes that were keeping an eye on his wealth. The company remained where much of the day, had a career. His father – the founder, was a man fair and very human. Between supervisors, workers and administrative staff we could count about 30 employees. Under discipline compliance and good reputation, José Emilio, spend his early years of work beside his father. “Don´t worry, we will see…” Nothing and no one know, when a person will die! he thought. But the day came. Maria died. A few days after the funeral, appeared the son-in-law. José Emilio’s secretary informs him, that there is a man, which claims to be Maria’s son-in-law and wants to talk to him. As if it were a theatrical piece, it was true; there was the son-in-law. José Emilio – long ago, thought: “well, and why this insistence of Maria? and if it becomes true, what can do I with this individual, I don’t know? What job will I put him at? He attended the visit of the subject and intended to resolve the matter in the best way, but a tremendous nightmare found. He heard him and gave him an appointment for a few days later. Maria was no longer with them, and if the son-in-law was not Archangel, who would he claim; he wondered… He threw everything on, and decided to! When the subject returned, he confessed that because he was Maria’s relative, he will deposited all his trust in him and Jose Emilio give him a vehicle of his property so he was able to mobilize, engaged in any activity of removals or home services, enclosing also a check for $ 350, to initiate an activity, provided care for the truck and provide it with a $100 monthly payment, as a lease vehicle. The subject was happy. While he spent the first month, the subject communicated with José Emilio continuously. He said that he had decided to move to the border to bring goods to sell at a good price, and so, give him $200 each month, and not as they had agreed. The Manager of the company, believed firmly. Passing one month, the subject in question gradually ceased to call and did not answered the phone. By the end of the second month and his whereabouts became a mystery. He changed the phone number and was gone. José Emilio filed a complaint against the subject for fear he was making improper use of the truck. At the end of two years Jose Emilio received a call. It was a character from a parking lot, which called him to inform him, that there was a car as under the name of José Emilio who had a debt of two years of parking fees for being on its premises. Without knowing, what problems there might be, he traveled 1,000 miles from here, to the site where the individual who was the truck had told him. Once he got there, the payment for the alleged parking and taxes exceeded $5,000. It was then where José Emilio thought: What hatched Maria with her son-in-law? If we all have intelligence and hands to work, why there are people who want to take advantage pretending poverty and misery? Why are people looking coldly those who come to ask for a help or money? And he answered quietly: “Right now I understand why so many people are indifference of someone’s need and that really needs it and maybe is doing good”. Lilia M. Fiallo was born in Bogotá, Colombia, where, between tasks and free time, she found a place to write about subjects, somehow forgotten by others. With gold letters engraved in her memory, she began her working life, in the heart of the technical part, of the air traffic control of her native country. In the midst of aeronautical phraseology and codes, the world of aviation gave her one of the highest experiences, because of the precision required by this craft, where a single mistake could cost many lives. It is there, where in her concern to communicate her ideas, she begins to write with dedication, themes a little relegated by society, the Church and the State. Discovering a truth that nobody wants to talk about, but much more real and every day, than it seems. It is thus, as it appears, her first work, “Parir por parir”. You can find her book at for sale in Amazon and if you want to connect with her send her an email to lilianim2003@yahoo.com. Diseños Milagros was made with the idea of sharing classes or workshops on clothing in general that is, for children, men and women and created with a simple to understand language. If the instructions are followed properly, you will get the perfect pattern, which in turn will lead you to achieve a good suit, which suits your figure with great style. This project has been studied for many years. Throughout our study we realized that in this field of fashion there are few publications in Spanish, both in the school system and at bookstores throughout the country. On an international level publishers are searching for all types of literature in Spanish. This places a high level of interest, especially in the countries of Central and South America. 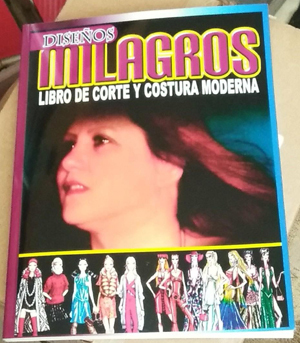 This book of Milagros’ Designs, causes great interest for all those who promote the education of the minority class. For those who do not have a trade. This book promises to train great professionals in the field of fashion; men in particular have been great designers such as Valentino, Oscar De La Renta, and others who have great boutiques of exclusive clothes around the world. My greatest inspiration has been my sons Henry Salinas and Richard Delgado and I dedicate this project to them, as well as to the women who have had to raise their children alone and who through this book can acquire the means to get ahead and have a lucrative profession and be successful. Special thanks to my good friend Julia Zurita who believed in my idea and was always by my side as I made this dream a reality. Milagros Martínez Machado was born in Havana, Cuba, on January 12, 1966. Daughter of Milagros Machado and Ricardo Martínez. Despite having been raised within the communist system of Fidel Castro’s regime in Cuba, her childhood was very beautiful and humble with her four siblings, whom she always remembers very dearly. Since she was little girl, she demonstrated her love for sewing and fortunately for her, in front of her house lived Mrs. Marta Alfonzo, a well-known seamstress in the neighborhood, who had graduated from the Elia Rodriguez Rocha system. Milagros began to receive cutting and sewing classes. Acquiring a lot of knowledge and learning how to transform patterns. Then while learning she did all the finishing work in the seams that Marta was making. Later, she attended a small course that the Cuban government gave in the Cotorro Municipality that was called Ana Betancour. Years later, Marta died, and Milagros continued to be part of her work. She also received the qualification of Seamstress A in men’s clothing for a government factory in Cuba that was located in Alverro, Cotorro. 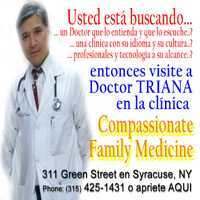 When she began her studies at the university, on February 12, 1991, she traveled to the United States with a Humanitarian Visa due to health problems with her son, Henry Salinas. Who was a recipient of a kidney transplant that his father donated. The transplant was carried out at The University of Miami. During all that time she was helping with the household with her knowledge in sewing, making clothing for friends and acquaintances. She devoted herself to making wedding dresses for brides and their bridesmaids. She became a Volunteer as a Public Relations Officer, for more than seven years she dedicated her time to promoting the myths and realities of transplantation in Hispanic communities and helped many families to receive information and support. She was featured on different television channels such as 51, channel 23 and channel 4 of Miami. She was invited to the programs of Don Francisco and Cristina. Then she appeared in different radio stations within Miami such as, Radio Mambí and the WBQA. In 1997, her second son Richard Delgado was born, who brought both Milagros and Henry his brother, an immense happiness. Milagros continued taking care of her children while working at home. The family moved to Homestead where Milagros continued with her promotion in favor of organ transplantation, achieving that members of the group Los Tigres del Norte donate $5 of each ticket to the concerts in favor of organ donation. 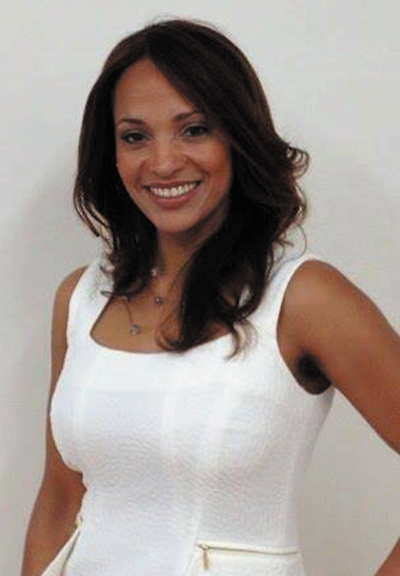 At Florida International University she obtained her certification as a Nutritionist. She obtained a master’s degree in Psychology from the UNPI International Our Pact University. She continued her studies and successfully completed the studies of Theology at the Hispanic Institute of Theology, being a pioneer of the First Hispanic Lutheran Ministry of West Palm Beach. She also studied to work as a Volunteer Teacher of the Day Care Head Start Program. For health reasons she retired from the Ministry and but she still teach English classes she for Hispanics at Our Savior Church in Lake Worth. Along with lawyers Irvin Gonzalez and Jose Lagos, she was an activist for the TPS Law for immigrants. She also collaborated with the Association of Cuban Art and Culture of West Palm Beach, making the costumes of all the presentations that the organization made. She was the Producer of the television program “La Pelota Infantil” on channel 12, local West Palm Beach. 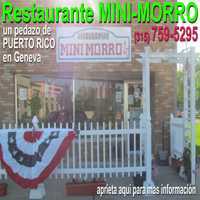 She also hosted her own radio show on 1340AM in Lake Worth. 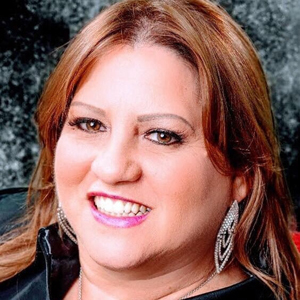 She ventured into producing and directing the “La Voz de West Palm Beach “talk show program in the mentioned radio station in Lake Worth, along with her son Henry Salinas. Focus on Fruits and Vegetables – Look what $10 will buy! Vegetables and fruits can fit into any budget! For $10 you can buy 18 portions of vegetables and fruits; like, 1 cup tomato, 3 cups of green beans, 3 cups of corn, 4 cups of peas, 1 cup of pears and 6 cups of peaches. That’s almost 4 days’ worth of veggies and fruits for one person! Buy fruits and veggies in all their forms – fresh, frozen and canned. Celebrate the season! Purchase fresh vegetables and fruits when they are in season. Fresh produce is packed with flavor and is often less expensive. Visit your local Farmer’s market for produce in season from June- October. Buy frozen and canned year-round. It’s usually picked and packed at its’ peak when its chock full of nutrients. Look for canned or frozen veggies that have not been pre-sauced and say “no salt added”, “low sodium” or “reduced sodium” on the label. Look for fruits canned in juice or light syrup. Save time in the kitchen with washed and bagged produce picks. Compare prices for best value. Pre-cut, pre-washed produce may cost more for the convenience than when sold in whole form. Make a list BEFORE you shop! Check the local newspaper, online, and the store ads before you shop. You will save money by buying only what you need leaving more of your food budget for delicious wholesome produce loaded with antioxidants, vitamins, minerals and fiber. Plant you own veggie garden! Try a small plot in the yard or in a large pot. Try easy-to-grow herbs, cucumbers, peppers or grape tomatoes are great for beginner gardeners. Gardening helps us be more physically active and makes us feel good too as we watch our veggies grow! For Gardening tips, browse through a local library or check online gardening tips at http://gardening.cce.cornell.edu/. Lastly, plan and cook smart. Prepare and freeze vegetables soups, stews or other dishes in advance. Add leftover veggies to casseroles or blend them to make soup. Overripe fruit is great for smoothies or baking. 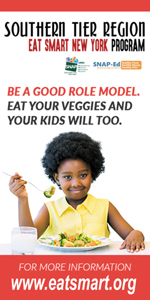 There are plenty of ways to enjoy veggies and fruits, for more ideas visit www.myplate.org. 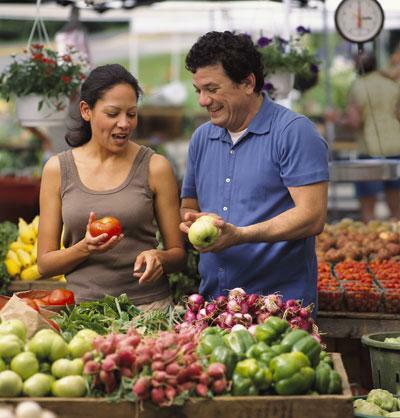 Check our website for recipes, tips and locations of Famer’s Markets that accept EBT near you at www.eatsmart.org. Serving eight counties in the Southern Tier Region- Onondaga, Broome, Chenango, Cortland, Delaware, Madison, Otsego and Tioga. Go Further with Food- Plan ahead to save money and reduce waste! March is National Nutrition Month! A perfect time to celebrate the healthy and wholesome meals that bring us together with the people we care about. 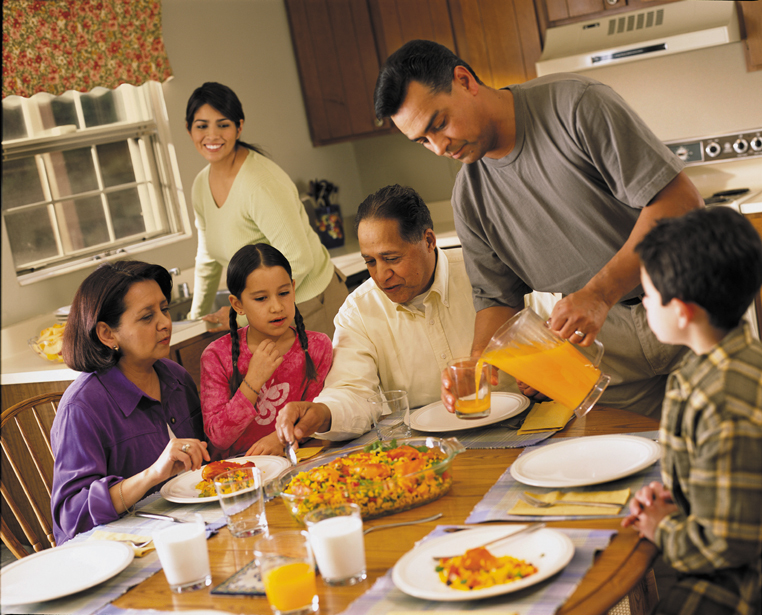 Healthy family meals can be low cost and easy to prepare. First, check out the food that you have on hand. Then make a list of additional ingredients needed to prepare recipes with foods that are readily available and best yet, in season. Bring family and friends around the table to create meaningful memories over a nourishing meal. The theme for this year’s National Nutrition Month is “Go Further with Food”. The message reminds us to be mindful to choose health promoting foods and to reduce the amount of food we waste. Reducing food waste saves money, protects the environment and saves valuable nutrients that our body needs for energy, growth and to repair itself. Wasting food is expensive. Not all food that is wasted can be saved and eaten, but a lot of food waste could be prevented. One of the obvious reasons to reduce food waste for many people is that it costs money. However, wasted food also results in wasted nutrients. Fruits, vegetables, dairy products, and seafood are often the foods that are wasted. We are faced with higher food prices and lose money when food spoils at home or gets thrown out as plate waste. In addition, much of the food that is tossed out winds up in landfills, and over time this can cause negative changes in the earth’s climate. Did you know that about 1,200 calories of food are wasted daily in the United States? When we think of the nutrition these foods provide, that amounts to losses of protein, dietary fiber, and vitamins and minerals, such as calcium and vitamin D.
• Buy only the amount of food that can be eaten or frozen within a few days. • Place foods that spoil quickly within sight. • As with other foods, to prevent spoilage only buy the amount of fresh fruits and vegetables you can use within a few days. • Produce should always be washed before using, but some produce may spoil more quickly if it’s washed too far in advance. • Refrigeration is recommended for a lot of produce, especially fruits and vegetables that are conveniently packaged or already cut up. Plus, some produce will last longer when refrigerated, such as apples and oranges. Whereas, other produce like onions and potatoes are best stored outside of the refrigerator. • Because some produce, like apples can cause other fruits and vegetables to ripen more quickly it’s best to keep them in a separate crisper drawer. • Regardless of the date stamped on the food or drink packaging, don’t risk eating or drinking anything that you suspect has spoiled. In some cases a food will not look or smell any different. That’s why it’s important to eat leftovers within 3 to 4 days (or freeze for up to 3 to 4 months). • Always remember to practice good food safety! • For more food safety information, visit www.homefoodsafety.org or check out the “Is My Food Safe” app. • The USDA’s FoodKeeper app is another good resource. It helps you determine how long items may be kept in the refrigerator, freezer, or pantry. Knowing this information will help you identify what needs to be used up when planning meals or deciding what to do with leftovers. • Planning meals based on foods you already have.  Look in the refrigerator, freezer, and pantry first for foods that need to be used up. These items will give you ideas about what recipes to make for the week.  Find recipes that use those ingredients.  Write a list of the food items you still need. • Planning meals and snacks in advance is a good place to start and will help you use the foods you already have on hand. • Another way to prevent food waste is to get creative with leftovers. • A meal doesn’t always need to be eaten in the same way as a leftover. A lot of times, it can be transformed into another meal, a soup, salad, or even a sandwich. • Roast a whole chicken or turkey for dinner. The leftovers could be shredded, reheated and added to a soup on Monday night or wrapped in a whole wheat tortilla with low-fat cheese and veggies for lunch. • Other ways to Go Further with Food include being mindful of portion sizes. Over the years, portions of most foods and drinks have increased in size. • Choosing smaller portions will not only help to reduce food waste, but it will also help you stay within your calorie needs, as MyPlate recommends. • If it’s not possible to request a smaller portion when eating out, just ask for a to-go container at the start of a meal. This will help you eat less. Plus, you’ll have a leftover to enjoy the next day. For tasty, low cost recipes, tips and more go to www.eatsmartnewyork.org. Southern Tier Eat Smart NY is funded by USDA’s Supplemental Nutrition Assistance Program- SNAP. SNAP Provides nutrition assistance to people with low income. To find out more go to www.myBenefits.ny.gov or contact 1-800-342-3009. This Institution is an equal opportunity employer.